Got a neat open source tool, script, hack or workflow that makes your work easier, faster, more reproducible or simply fun? In this show and tell session, give us a demo (max 5-10 minutes depending on how many submissions we get). PS: I'll ask presenters to send a short pull request with links and a short description after the event. 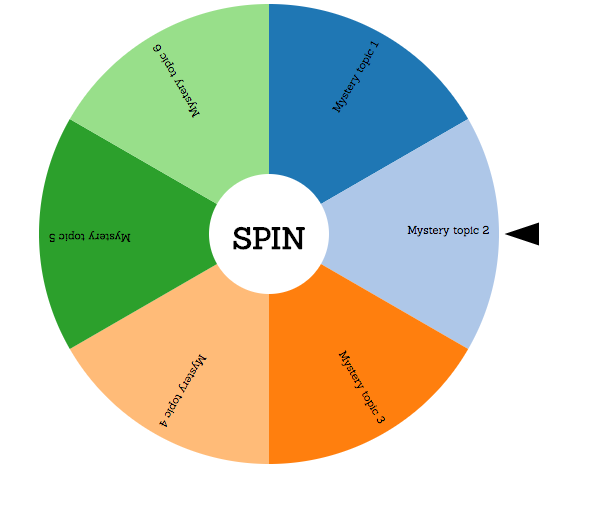 Come to the session to spin the wheel!